Russia’s ambassador to the U.S., Sergey Kislyak, has now come up in several communications with President Trump’s associates, officials say, as administration officials look into contact between his team and Russia. Attorney General Jeff Sessions, for instance, has come under fire after it became known Thursday night that he had two contacts with Kislyak during the presidential campaign, Justice Department officials confirmed to CBS News, following an initial report by The Washington Post. Sessions didn’t disclose his two conversations with Kisylak during his Senate confirmation process and it’s unclear what they discussed in their private conversation. The Russian ambassador also came up in the probe involving the president’s first national security adviser, Gen. Michael Flynn, in which officials discovered that they had a series of conversations before Mr. Trump’s inauguration about U.S. sanctions against Russia last month. The revelations led to Flynn’s resignation after White House officials discovered that Flynn had misled Vice President Mike Pence about his contact with the ambassador. Kislyak, 66, has served as Russia’s envoy to the U.S. since 2008 and has spent his career as a diplomat, spanning both the Cold War and the Russian Federation since the collapse of the Soviet Union. Before his appointment as ambassador, he served as Russia’s deputy minister of foreign affairs and before that, Russia’s ambassador to Belgium and representative to NATO. During the 1990s, Kislyak was first the deputy director and then director of the Soviet and then Russian foreign ministry’s department of international scientific and technical cooperation. He also served as the director of the foreign ministry’s department of security affairs and disarmament. In the 1980s, he served as the first secretary, counselor of the embassy of the Soviet Union to the U.S. and as a representative of the Soviet Union to the United Nations in New York. Kislyak spoke at a Stanford University lecture on the state of U.S.-Russian relations hosted by former U.S. ambassador to Russia, Michael McFaul, days after the 2016 election last November. McFaul called him “a tremendous friend and colleague to me” despite their differences in policy. “We are living through the worst point in our relations after the end of the Cold War,” Kislyak said during the lecture where he went on to explain that it started long before the situation in Ukraine. He described the Edward Snowden affair, for example, as one of the low points between the two countries. Russia granted the National Security Agency leaker asylum after he wound up in Moscow. He also served as ambassador when the FBI arrested 10 people in 2010 who spied on the U.S. for Russia after being the targets of a decade-long investigation. 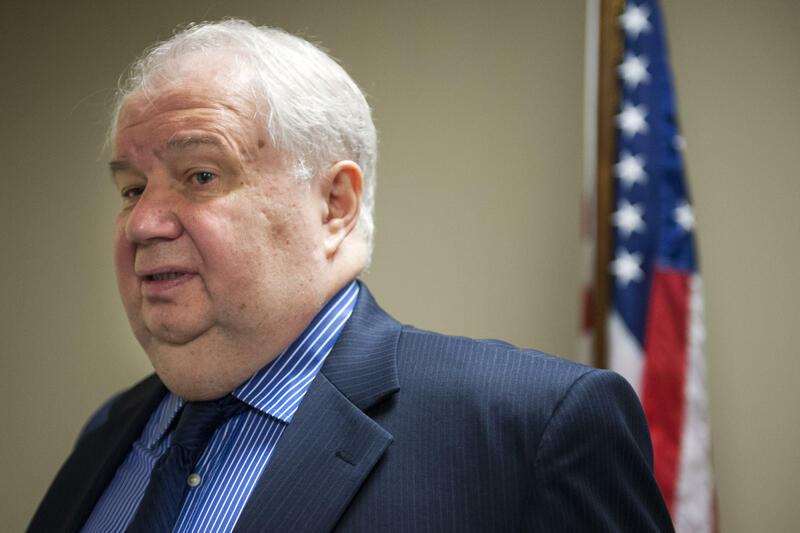 Given that his diplomatic post covered the Obama administration, Kislyak served as ambassador during the “Russian reset” and when the Russia helped negotiate a deal to remove chemical weapons from Syria, which enabled the U.S. to avoid launching a military strike on Syria. Russia was also a key partner in negotiations that led to the development of the Iranian nuclear deal as part of the P5+1 negotiations.